This entry was posted on December 2, 2014 by AdaPia d'Errico. Many people are still unfamiliar with alternative lending. Quite often inquiring minds will ask what the borrowing process is like at Patch of Land, and what are the benefits that come along with it? To help people understand the concept, we have summarized our answers for you, explaining how Patch of Land makes the loan process as convenient and efficient as possible for our borrowers. At Patch of Land, we are able to complete funding in as little as 7 days, with short-term rates as low as 10.99% and origination fees as low as 2 points. As an online crowdfunding service with thousands of accredited investors, we have the ability to form creative capital structures that will work for your specific plans, covering both hard and soft costs, and with no pre-payment penalties on loans. We are very flexible in trying to find the best loan product that fits a developer’s needs. In addition, we take great care and pride in promoting the developer on our website to our investors, giving the developer vast exposure to a large group of people who believe in the project, and want to see it succeed. This is a new way of receiving funding, powered by e-commerce and technology in our connected and social world. This frictionless, paperless, and easy to use platform maximizes convenience for developers. That way they can focus all their efforts on completing their projects. Developers receive the benefits of all these forces combined, plus great customer service, and a team that is dedicated to ensuring the developer’s ultimate success. To date, Patch of Land has had 7 loans repaid in full. Along the way, we are constantly receiving positive feedback from developers about our overall loan process. Please comment below if you have any additional questions or feedback in general about our alternative lending services. If you still have questions about real estate crowdfunding we encourage you to learn how to use the power of crowdfunding to scale & take your business to the next level by downloading our FREE Real Estate Crowdfunding Borrower Handbook. Crowdfunding is transforming the way real estate professionals are accessing capital for their projects. By reading this handbook you'll soon discover the numerous benefits alternative lending has over using traditional banks or local hard money lenders. This entry was posted in Building Wealth, Q&A From the Patch, Video and tagged Benefits, borrowers, alternative lending, real estate developers, pre-funding, real estate crowdfunding on December 2, 2014 by AdaPia d'Errico. 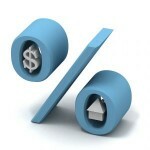 What is your minimum loan amount for an investment property? Thanks for your question, our minimum loan amount for an investment property is $5,000. If you would like more information please don't hesitate to call us (888) 959-1465.